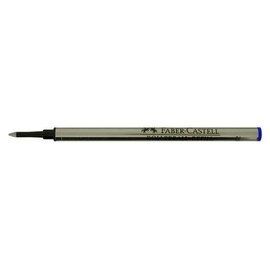 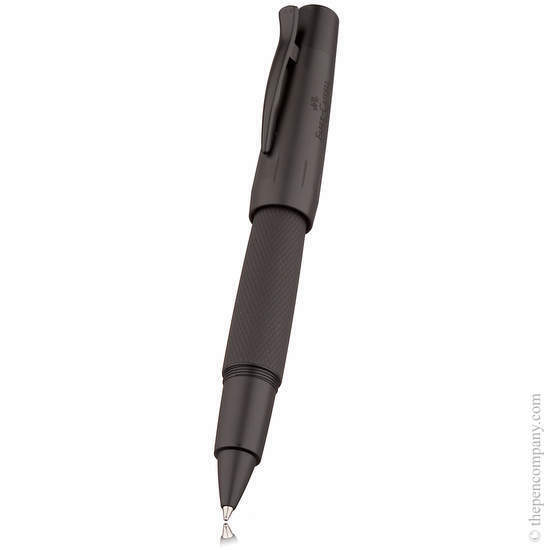 Faber-Castell's 'Pure Black' E-motion series combines finely textured matte black barrels in anodized aluminium with matte black trim to present a modern, sleek design and tactile writing experience. 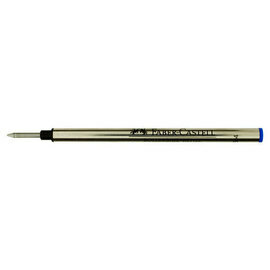 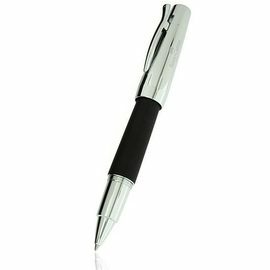 The rollerball pen cap features an articulated clip and posts securely on to the barrel when writing. 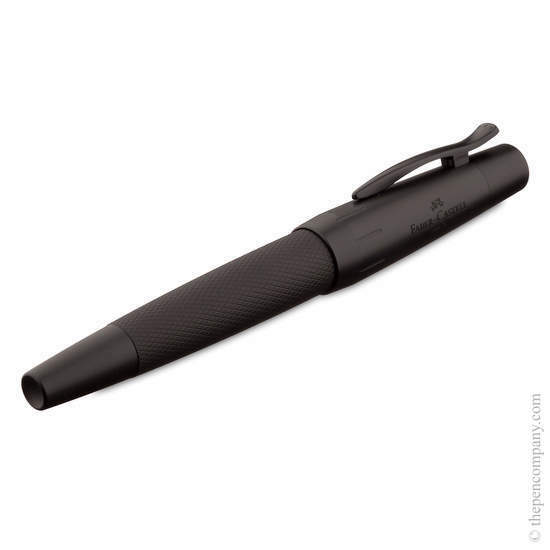 Accepts standard rollerball refills.